We at the Barcelona Macula Foundation always try to keep pace with the latest technological innovations aimed at making life easier for the visually disabled. 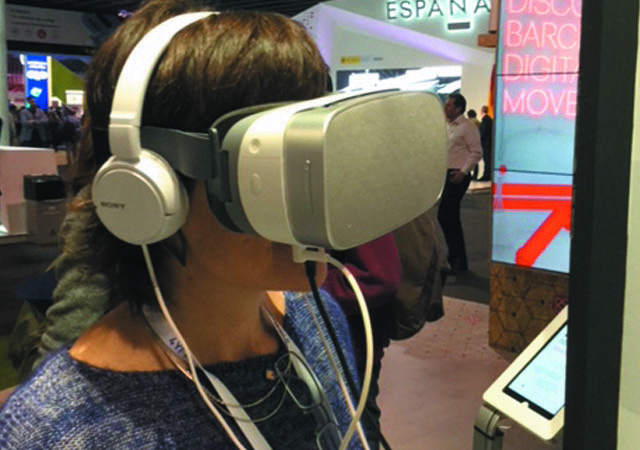 At this year’s Mobile World Congress 2018, the global reference event, we attended a variety of talks that taught us first-hand about some of the latest developments in this field. The ONCE Foundation presented the map3D app that helps blind children to make out silhouettes using 3-D technology. We also saw how smart glasses work with the Aira service, which enables those with vision problems to become more independent. The Aira service provides an agent who sees remotely what lies ahead of the user and can give real-time assistance through an earpiece installed in the glasses. Finally, we tried out the glasses of the WayfindrStd project that enable the vision-impaired to find their way around interior spaces independently. Wayfindr is a non-profit organisation that aims to empower the blind to overcome isolation through audio navigation.